Preface 1 What is Prolegomena? Norman Geisler writes: "A most needed and creative beginning in theological prolegomena. In this work the long-neglected use of philosophy in evangelical theology is overcome." 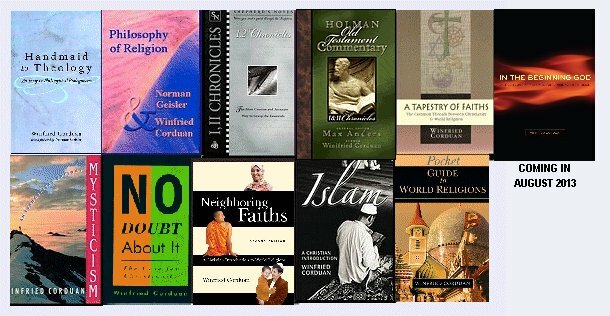 It is not a question of whether theology uses philosophical concepts. The issue is whether the concepts the theologian uses are the appropriate ones for the content of theology. In this book I attempt to do some delineation of the proper concepts that an evangelical theologian would need to use in order to do justice to the expression of biblical theology in the modern world. While interacting with various philosophical concerns, the main philosophers on whom I rely in this book are Aristotle, St. Thomas Aquinas, and Karl Rahner. 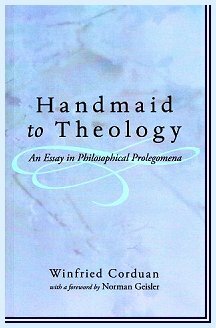 Handmaid to Theology is again in print with Wipf & Stock, and you can buy a copy directly from them. It is also available in from Logos Bible Software as a part of their huge offerings! Click on the logo below to connect and buy a digital copy. Remember that you must have their basic software installed first.